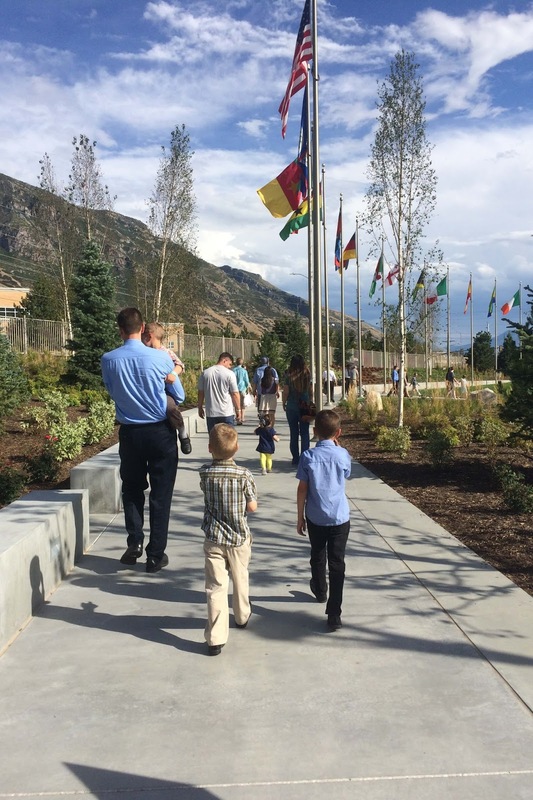 This weekend we went to the MTC (Missionary Training Center) open house. What an amazing, beautiful facility! The artwork lining the halls is absolutely stunning. I was filled with awe as I saw so many devoted missionaries and so excited as I watched our little boys fist-bumping them...it will be so amazing to watch them serve as missionaries! Afterwards we went to the Creamery for ice cream.